We had some economic news today that was mixed. 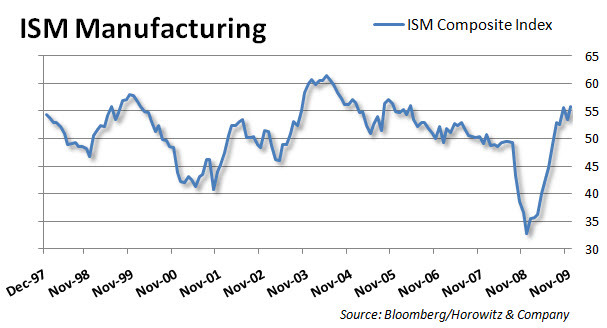 Early morning rumor mills were suggesting that the ISM Manufacturing index would surge to 65. If you recall, over the past few weeks we posting charts and discussions on the Richmond, Philly and the Empire manufacturing indicies. Each was weak and for the most part came in below expectations. Therefore, it was hard to believe that we would see such a move higher for the ISM index. 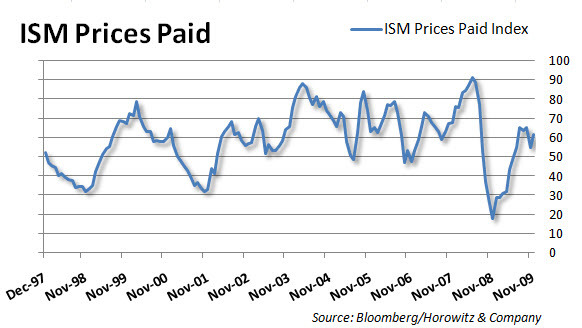 ISM Prices paid came in more inflationary then expectations at 61.5 vs. 57.2. This is a trend that appears to be gaining strength. 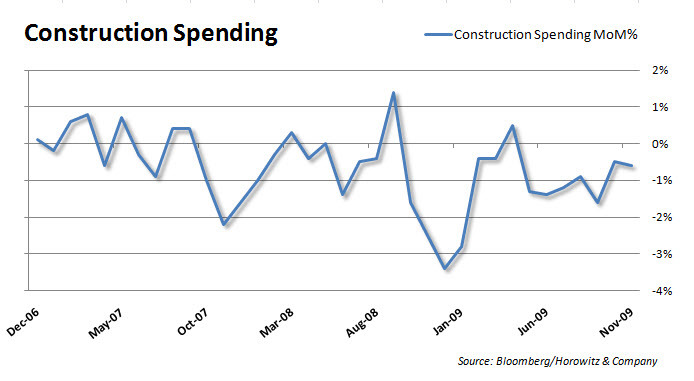 Construction spending was slightly worse than expectations at -0.6% vs. -0.5% and the prior was revised down to -0.5% vs. 0.0%.